Much has been made of television's crime dramas such as CSI: Crime Scene Investigation, Bones, Without a Trace and Cold Case, and their effect on the criminal justice system. The so-called 'CSI effect,' a theory that the fictional portrayal of forensics influences public perception, has raised vital questions for forensic scientists and the trials that depend on analyzed evidence. While experts continue to debate what real effects these shows have on jurors, they do agree that the overzealous collecting of evidence from a crime scene and the following analysis on hundreds of items — in attempt to preemptively react to the 'CSI effect'— makes little sense, adds to the existing backlog, and stretches resources unnecessarily, says Max Houck, a AAAS member who heads the new Department of Forensic Services in Washington, D.C. "You have to triage — let's look at the things that make the most sense and answer the questions being posed," Houck says. "[The shows] took a lot of entertainment license," says Jay Siegel, emeritus professor of forensic science at Michigan State University. One of the differences between reality and the fiction is that on the dramas, forensic scientists are deeply involved in the investigation — but that's not reality, which sometimes disappoints students new to the field. "They find out the real field is much more mundane and detailed and tedious than the drama they see on the television," says AAAS member Douglas Ubelaker, curator of physical anthropology at the Smithsonian Institution's National Museum of Natural History. Experts also say that the forensic fiction may create unrealistic expectations of what forensic science can do, and that viewers expect technology to move faster and with more precision than can be expected in real life. 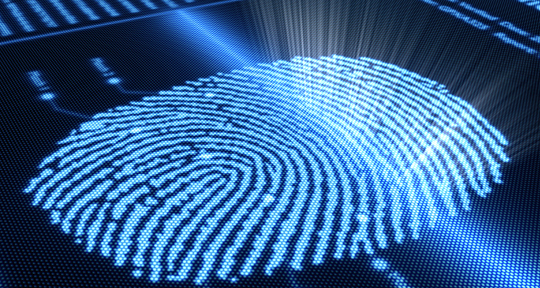 Fingerprints on objects, for example, are often partial or incomplete and often can't be linked to a specific individual with 100 percent certainty. Another possible effect is courtrooms placing too much emphasis on the importance of DNA evidence. "It's turning evidence into a fetish — 'if you have DNA then everything's fine,'" Houck says. But the television exposure hasn't been all bad: It's brought new interest and appeal to the field, explains Ubelaker. More institutions have started forensic science programs; currently, there are about 40 bachelor's and master's programs in the U.S. and Canada. "That means that universities and training centers are seeing a larger pool of very talented people positioned to enter the field," says Ubelaker, who is also former president of the American Academy of Forensic Sciences. "That brings with it strength and new research to the field." As forensic science grows and evolves, a 2009 report by the National Academies sought to shed light on the successes and needed improvements in the field. For example, the report pointed out that aside from DNA, there's a lack of standardization and protocols, as well as a lack of authority to make sure analysts abide by protocols. "We do a lot of evidence analysis using methods that have not been scientifically validated, and we don't have a lot of agreement on what methods should be used for evaluating certain types of evidence," says Siegel who is a consultant as well as an author on the National Academies report. For instance, in arson investigation, it had been widely believed that crazing of glass — when glass heats so intensely, so quickly that it develops tiny cracks but doesn't shatter out — was a clue to arson. But what creates crazing is a quick temperature change, such as the shot of cold water from a firefighter's hose. Now, scientists are re-examining what qualifies as arson evidence. Another area that needs more research is pattern evidence and analysis — tracing the origin of fingerprints, handwriting, or bullets to one specific individual or object to the exclusion of all others. Such conclusions that point to only one source are not supportable by science at this point, explains Siegel. For example, for fingerprint identification, researchers use points of comparison to see how closely two fingerprints match. The transfer of the pattern to a surface can depend on the material, pressure, duration, age, and substrate. "Now the combinations become overwhelming — how accurate is that print?" Houck asks. Currently, if they feel they have enough points of comparison, clinicians may say that a fingerprint came from a suspect. "But what's enough? Five points?" Houck says. An algorithm would offer a range — a five-point match, a seven-point match — so a scientist could say, for instance, that the likelihood of a print coming from someone other than the suspect could be one in, say, 121,000. Though there are a dozen models of these 'random match probability' calculations for fingerprints, they are rarely used. Another report recommendation hinged on the need for federal oversight of the whole forensic science field. And, like other fields, more money is needed for research — especially research that works with practitioners. There's a lot riding on making these changes, Siegel says. Unless the field establishes standards for analyzing pattern evidence, the status quo will continue, and we'll see more court decisions based on conclusions not justified by science. Those unstable testimonies could lead to unjust convictions based on faulty evidence or analysis. That's where efforts such as The Innocence Project — a non-profit legal clinic affiliated with the Benjamin N. Cardozo School of Law at Yeshiva University dedicated to exonerating wrongfully convicted people through DNA testing — have come in to help to readdress some of the false convictions that are in some cases due to improper or misrepresented forensic science. For example, some improper forensic testimonies may lead juries to believe that a hair-type 'match' is more reliable and certain than is scientifically possible. According to the Project, in more than 50 percent of DNA exonerations, unvalidated or improper forensic science contributed to wrongful conviction. Another major report recommendation was that forensic labs be separate from law enforcement or police departments. One such lab is located in Washington, D.C., and was built in conjunction with the new Department of Forensic Services, overseen by Houck. The $210 million Consolidated Forensics Laboratory combined the forensic lab and crime scene response from the Police Department, and the public health lab from the Department of Health. The LEED-certified gold building has a 75-foot firing range, a room with several hundred types of firearms for testing, a DNA lab, a latent's unit, autopsy bays, a drug-analysis laboratory, and more. The consolidated lab allows for easier collaboration between professionals from different agencies. For example, a suspicious abandoned car can be brought into the building for processing — and if there's a body in the trunk, the medical examiner can go directly down to the car, Houck explains, where officials can get fingerprints and evidence. If unknown materials pose a biohazard, the public health lab is just upstairs. "Instead of being the odd people out in an agency that is not primarily science," Houck explains, scientists from different departments can solve problems together. In most cities, departments of health deal largely in policy and legal aspects, and police departments focus on policing and safety. "Now, when you take the science component out of those two agencies, and combine them, you're hoping to get a greater effect because now you've got direct oversight, direct budgetary control, and better coordination of those scientific resources for a jurisdiction," Houck says. What's more, the whole is more than the sum of its parts, Houck explains, because they've added programs to analyze digital evidence and controlled substances. "I think this is the way that forensic science needs to go," Siegel says. "If you don't have those integrated, then you don't have the two sides talking to each other." Forensic scientists new to the field have much to look forward to in the coming years. Because technology is changing quickly, forensic science must focus on technology itself as evidence by uncovering cybercrime and other digital evidence (such as recovering evidence from cell phones, iPads, and computers). Over the years, scientists have had to shift their focus from old technologies — such as typewriters — to new technologies that create the documents in question, explain Ubelaker, who just edited the book Forensic Science: Current Issues, Future Directions. Also on the horizon will be a method that sounds like it came from television fiction: stable isotope ratio analysis, or comparing ratios of stable isotopes to find their common origin. Such sleuthing is already at work in the wine industry to determine accuracy of vintages and uncover counterfeit wines. By analyzing stable isotopes, experts can determine what vineyard a wine is from, and even the origin of the barrel staves where the wine was stored. This upcoming method will help nail down associations between people, places, and things involved in criminal activity, Houck explains. With so much going on, says Ubelaker, "it's an exciting time to be a forensic scientist."